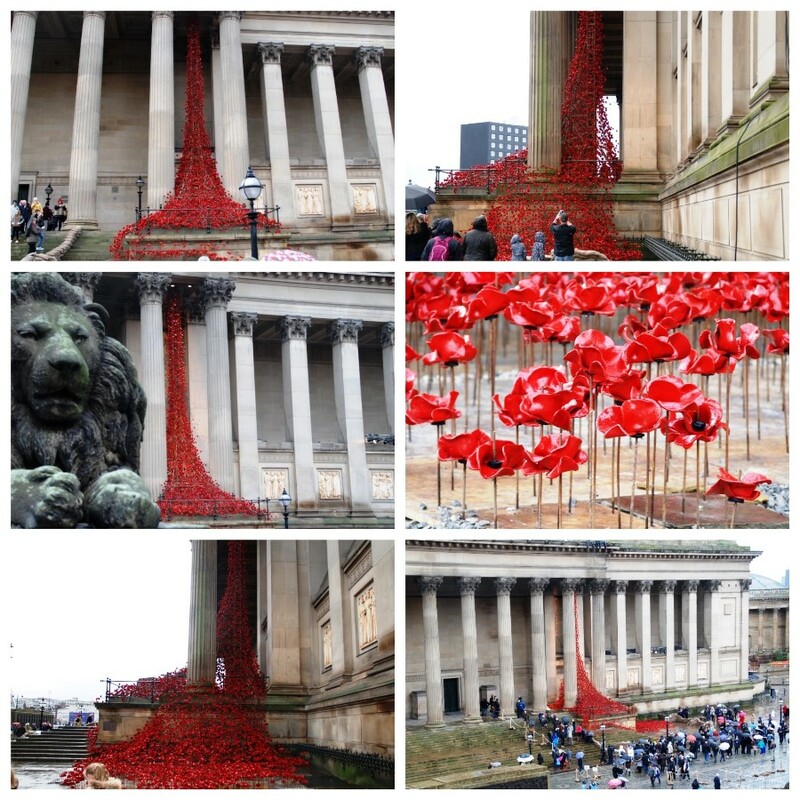 ‘In Flanders fields the poppies blow’ and they did so again in Liverpool on a wet and windy Remembrance Sunday as the city fell silent to remember those who lost their lives fighting for our country. 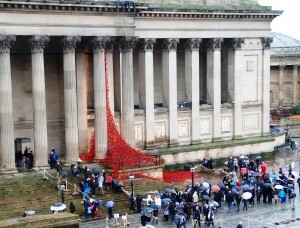 Thousands of people gathered at events across Merseyside, with Liverpool’s main tribute coming outside St George’s Hall, where Lord Mayor Tony Concepcion led the tributes. 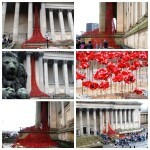 A haunting two-minutes’ silence was followed by the dropping of thousands of poppies from the roof of St George’s Hall, joining the ‘Weeping Window’ artwork below after it had been opened to the public this weekend. 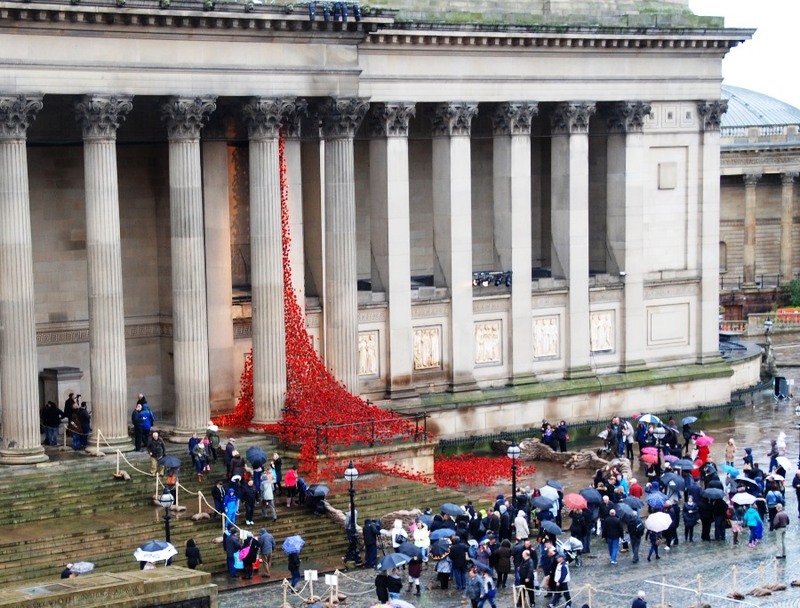 Danielle Louise Thomas and Jack Topping, along with the St Edward’s College Senior Choir, were joined by members of the crowd in singing ‘Abide With Me’ and the national anthem. 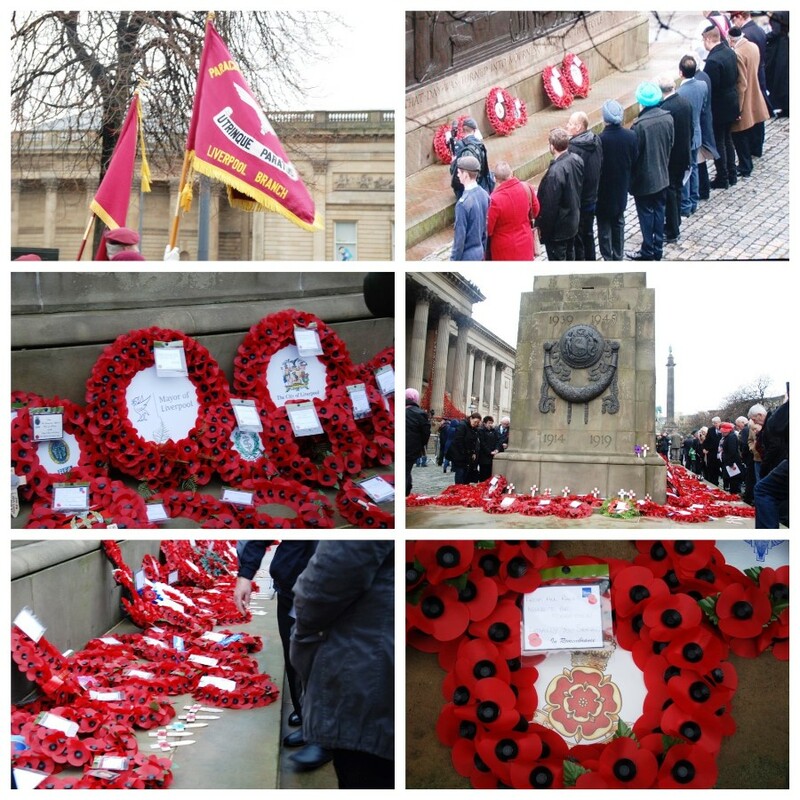 To conclude the service, members of the armed forces marched from the St George’s Hall Plateau to salute at the cenotaph, where wreaths were laid by ex-service organisations, business representatives and Liverpool schoolchildren. Many laid their own wreaths at the cenotaph in tribute to their loved ones. David Winstanley, of the 14th and 20th King’s Royal Hussars, sporting a medal from his time serving in Northern Ireland from 1971-1978, told JMU Journalism: “I’m remembering my grandfather who fought in the First World War, who was actually at the Battle of Gallipoli, and my father who was in the RAF during the Second World War. This year’s service marked the 70th anniversary of VE Day and VJ Day, as well as the 75th anniversary of the Battle of Britain. 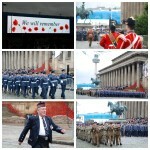 Current members of the armed forces stressed the importance of coming together to commemorate our fallen soldiers. 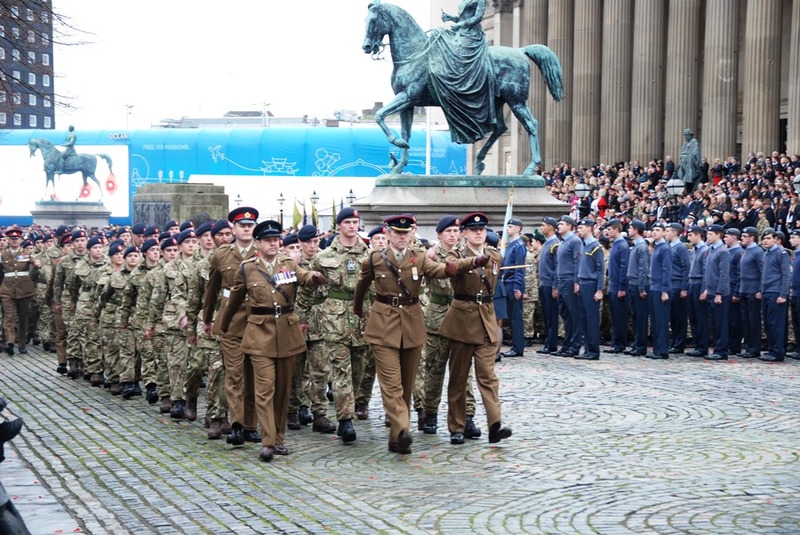 Bob Dixon, Regimental Sergeant Major of 208 Liverpool Field Hospital, commended the respect the people of Liverpool have continued to show towards Remembrance Day.